1. Attractions Benefits: Free entry to over 55 museums and attractions with the included Museum Pass (including Museum Island) and Attractions Pass, free hop-on-hop-off bus tour of the city, Travelcard included for zones ABC (Berlin and greater Berlin area) on metro, bus, tram and train, free 90+ page handy guidebook, and a free money back guarantee. Potential savings of €72 or more on a 3 day adult pass. 2. Attractions applicable: Includes the Pergamon Museum (link), Berlin History Museum (link), and Humboldt Box (link). 3. Transport Benefits: Travelcard included for zones ABC (Berlin and greater Berlin area) on metro, bus, tram and train as well as entry to over 55 museums and attractions. 4.Restaurants Benefits: Savings of 20-30% on seven restaurants. You also get a free Pocket Guide App. 5. Restaurants applicable: Café Dorottya, Fishermen’s Bastion Restaurant, Gellért Café & Restaurant & Pub, Kispipa Restaurant, Mátyás Pince Restaurant, Molnár’s Kürtöscalács Bakery, Restaurant Astoria. 6. Card price and validity: €74 (2 day adult pass), €34 (2 day child pass), €89 (3 day adult pass), €39 (3 day child pass). Child passes apply to 6-14-year-olds. Activated on first use, using calendar days rather than 24 hour periods (so a 3 day pass activated on Monday morning would expire at the end of Wednesday). 1. 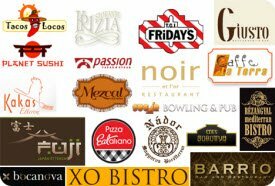 Benefits: Discounts of 50% on food in 15 restaurants and 30% on food and drinks in a further 5 restaurants. 2. Restaurants applicable: Chanson Cafe & Restaurant, Barrio Bar & Restaurant, La Pizza Italiana, Bambuszliget Japanese Restaurant & Sushi Bar, Nádor Wine Restaurant, Corcovado Brazilian Restaurant, Noir et l’Or Restaurant, Krizia Ristorante, Passion Tapas & Steak, Rézanyal Mediterranean Bistro, Tacos Locos, XO Bistro, Giusto, Mezcal, Bocanova, Vig Kalmár, FUJI, Bajai Halászcsárda, Caffe La Terra. 3. Card price and validity: €11,900-59,9000, valid from 3 months to a year for either 2 or 4 people. Duration: 1 Day with Massage 20 minutes.